The safe way to remove viruses from a computer without the risk of getting infected. 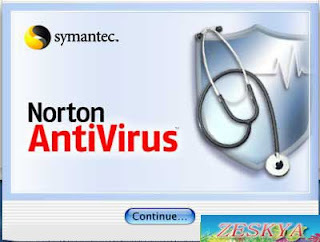 Boot from the Norton Emergency-Rescue Disk to scan and remove virus/malware from an infected computer without the risk of infecting other files or computers. Bootable ISO, based on Norton AntiVirus 2009. All you need to do is burn the ISO image to a CD, insert it into the infected system’s CD-ROM drive and reboot* the computer. *(If not done already, enter the PC’s BIOS, set it to boot from CD).